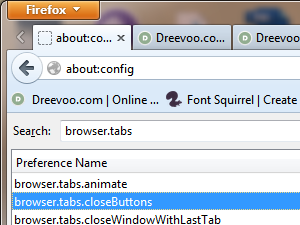 You can tweak pretty much all the aspects your Firefox web browser, and hiding or enabling close button on tabs is one of them. This is the close button on Firefox tabs I am talking about. Let's tweak it a bit. 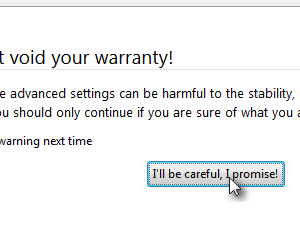 Click the I'll be careful, I promise! 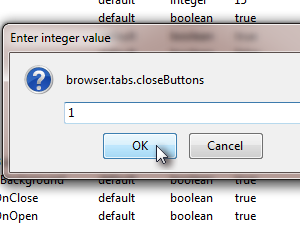 button ( if it pops up). 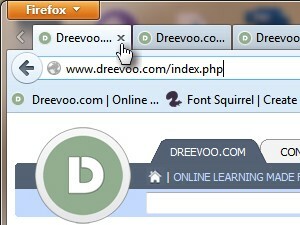 Now enter browser.tabs into the search field and look for the browser.tabs.closeButtons option (see picture). 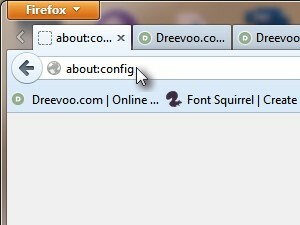 Double-click to open the option. 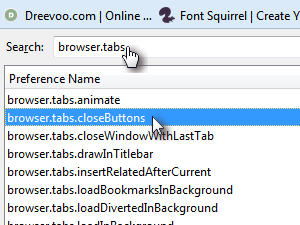 If you don't want close buttons on your Firefox tabs than enter the value 3 and click OK.
As you might notice, there are no close buttons on tabs. 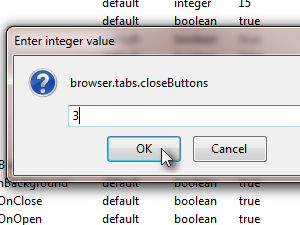 ... you have your close button back on tabs again.